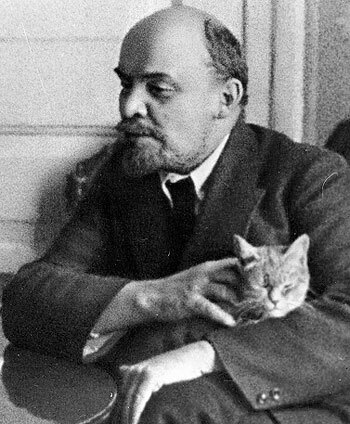 Read some Lenin on Lenin’s birthday | Fight Back! To mark the April 22, 1870 birthday of Russian revolutionary Vladimir Lenin, Fight Back News Service is circulating the following article he wrote in 1913. Throughout the civilized world the teachings of Marx evoke the utmost hostility and hatred of all bourgeois science (both official and liberal), which regards Marxism as a kind of “pernicious sect”. And no other attitude is to be expected, for there can be no “impartial” social science in a society based on class struggle. In one way or another, all official and liberal science defends wage-slavery, whereas Marxism has declared relentless war on that slavery. To expect science to be impartial in a wage-slave society is as foolishly naïve as to expect impartiality from manufacturers on the question of whether workers’ wages ought not to be increased by decreasing the profits of capital. But this is not all. The history of philosophy and the history of social science show with perfect clarity that there is nothing resembling “sectarianism” in Marxism, in the sense of its being a hidebound, petrified doctrine, a doctrine which arose away from the high road of the development of world civilization. On the contrary, the genius of Marx consists precisely in his having furnished answers to questions already raised by the foremost minds of mankind. His doctrine emerged as the direct and immediate continuation of the teachings of the greatest representatives of philosophy, political economy and socialism. The Marxist doctrine is omnipotent because it is true. It is comprehensive and harmonious, and provides men with an integral world outlook irreconcilable with any form of superstition, reaction, or defense of bourgeois oppression. It is the legitimate successor to the best that man produced in the nineteenth century, as represented by German philosophy, English political economy and French socialism. The philosophy of Marxism is materialism. Throughout the modern history of Europe, and especially at the end of the eighteenth century in France, where a resolute struggle was conducted against every kind of medieval rubbish, against serfdom in institutions and ideas, materialism has proved to be the only philosophy that is consistent, true to all the teachings of natural science and hostile to superstition, cant and so forth. The enemies of democracy have, therefore, always exerted all their efforts to “refute”, under mine and defame materialism, and have advocated various forms of philosophical idealism, which always, in one way or another, amounts to the defense or support of religion. Having recognized that the economic system is the foundation on which the political superstructure is erected, Marx devoted his greatest attention to the study of this economic system. Marx’s principal work, Capital, is devoted to a study of the economic system of modern, i.e., capitalist, society. Classical political economy, before Marx, evolved in England, the most developed of the capitalist countries. Adam Smith and David Ricardo, by their investigations of the economic system, laid the foundations of the labor theory of value. Marx continued their work; he provided a proof of the theory and developed it consistently. He showed that the value of every commodity is determined by the quantity of socially necessary labor time spent on its production. Where the bourgeois economists saw a relation between things (the exchange of one commodity for another) Marx revealed a relation between people. The exchange of commodities expresses the connection between individual producers through the market. Money signifies that the connection is becoming closer and closer, inseparably uniting the entire economic life of the individual producers into one whole. Capital signifies a further development of this connection: man’s labor-power becomes a commodity. The wage-worker sells his labor-power to the owner of land, factories and instruments of labor. The worker spends one part of the day covering the cost of maintaining himself and his family (wages), while the other part of the day he works without remuneration, creating for the capitalist surplus-value, the source of profit, the source of the wealth of the capitalist class. Capital, created by the labor of the worker, crushes the worker, ruining small proprietors and creating an army of unemployed. In industry, the victory of large-scale production is immediately apparent, but the same phenomenon is also to be observed in agriculture, where the superiority of large-scale capitalist agriculture is enhanced, the use of machinery increases and the peasant economy, trapped by money-capital, declines and falls into ruin under the burden of its backward technique. The decline of small-scale production assumes different forms in agriculture, but the decline itself is an indisputable fact. By destroying small-scale production, capital leads to an increase in productivity of labor and to the creation of a monopoly position for the associations of big capitalists. Production itself becomes more and more social—hundreds of thousands and millions of workers become bound together in a regular economic organism—but the product of this collective labor is appropriated by a handful of capitalists. Anarchy of production, crises, the furious chase after markets and the insecurity of existence of the mass of the population are intensified. By increasing the dependence of the workers on capital, the capitalist system creates the great power of united labor. When feudalism was overthrown and “free” capitalist society appeared in the world, it at once became apparent that this freedom meant a new system of oppression and exploitation of the working people. Various socialist doctrines immediately emerged as a reflection of and protest against this oppression. Early socialism, however, was utopian socialism. It criticized capitalist society, it condemned and damned it, it dreamed of its destruction, it had visions of a better order and endeavored to convince the rich of the immorality of exploitation. Not a single victory of political freedom over the feudal class was won except against desperate resistance. Not a single capitalist country evolved on a more or less free and democratic basis except by a life-and- death struggle between the various classes of capitalist society. People always have been the foolish victims of deception and self-deception in politics, and they always will be until they have learnt to seek out the interests of some class or other behind all moral, religious, political and social phrases, declarations and promises. Champions of reforms and improvements will always be fooled by the defenders of the old order until they realize that every old institution, however barbarous and rotten it may appear to be, is kept going by the forces of certain ruling classes. And there is only one way of smashing the resistance of those classes, and that is to find, in the very society which surrounds us, the forces which can—and, owing to their social position, must—constitute the power capable of sweeping away the old and creating the new, and to enlighten and organize those forces for the struggle. Independent organizations of the proletariat are multiplying all over the world, from America to Japan and from Sweden to South Africa. The proletariat is becoming enlightened and educated by waging its class struggle; it is ridding itself of the prejudices of bourgeois society; it is rallying its ranks ever more closely and is learning to gauge the measure of its successes; it is steeling its forces and is growing irresistibly.